1 beds1 baths700–799 sq. ft. There are a variety of property types to choose from when looking for real estate in Leslieville. There are 30 houses, 8 townhouses, and 26 condos for sale. For past listings, search our Leslieville sold listings and Leslieville expired listings The average listing price in Leslieville for all home types is $1,133,741, which is 18% higher than March 2018. The average list price differs significantly when broken down by home type. The average listing price of a house is $1,262,193, $1,228,225 for a townhouse, and $915,473 for a condo. 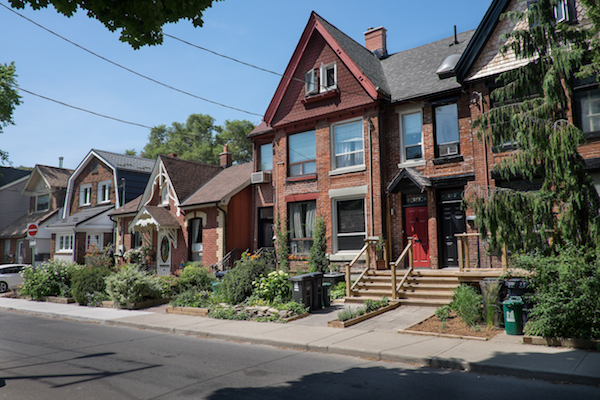 There are many popular neighbourhoods surrounding Leslieville, including Little India, Indian Bazaar, Greenwood-Coxwell, Riverdale, Blake-Jones, King, King-Parliament that offer a variety of home prices and unique areas to live. Leslieville also has many options for renters with 58 active rental listings and an average lease price of $2,912. Bridging Toronto’s downtown core and eastern beach neighbourhoods, Leslieville strikes the perfect balance between family-friendly and cutting-edge lifestyle. Located just east of the Don River, Leslieville is a true example of neighbourhood gentrification. Formerly an industrial centre, the last 15 years have seen drastic change, with factories making way for artisanal shops, exclusive night spots, and a tight-knit, family-centric community. It’s a neighbourhood steeped in history; originally a village established in the 1850’s, Leslieville homes are full of character. Even the original general store still stands, located at the corner of Jones Avenue and Queen Street East. Bordered by Gerrard St. to the north, Empire Ave. to the west, Eastern Ave. to the south, and Coxwell Ave. to the east, Leslieville neighbours Toronto’s best beaches, as well as the downtown core. It’s a great option for young families who eschew the suburbs for the conveniences of urban living. Those who call Leslieville home love it for its no-nonsense middle-class vibe, sense of history, and tight-knit village feel. While the area was considered low-income in the 70s and 80s, residents are now mostly made up of working-age adults with an average after-tax household income of $68,813. It’s a popular area for young professionals, with 65% of the population between the ages of 25 – 64. Kids under the age of 14 make up 13% of the population – about 12% lower than the Toronto average. English is the most commonly-used language, with 71% of residents speaking it at home. An additional 24% report speaking non-official languages, while 1% of households are predominantly French. Leslieville was originally founded by George Leslie, owner of the Toronto Nurseries. It started off as a tiny village, home mainly to gardeners and workers from the area’s brick and metal processing factories. 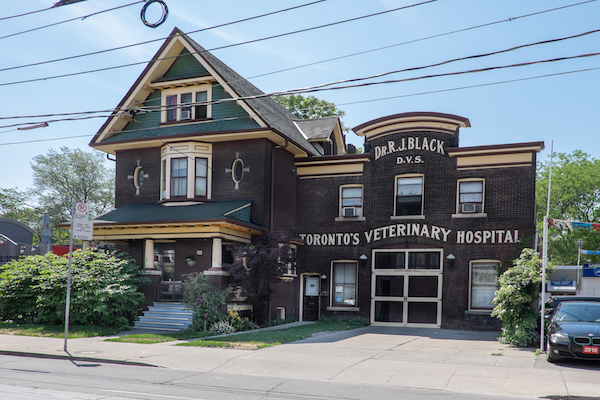 The neighbourhood’s oldest homes are located south of Queen Street, and are made up of 1800’s-era Ontario Cottages and Second Empire Victorian rowhouses. Much of the areas houses feature the original brick and telltale design features of the era, and include single-detached, semi-detached and bungalow houses. However, the area is also popular for the chic industrial lofts developed in former factories along the fringes of Eastern and Carlaw Avenues. Leslieville is a vibrant, walkable neighbourhood filled with creative niches, fine dining, and eclectic shops. Art aficionados can peruse a number of galleries featuring the work of resident creatives, while those shopping for a unique outfit enjoy a large selection of indie designer stores. The neighbourhood is also a foodie destination, often referred to as Toronto’s “brunch capital”. Quaint cafes, breakfast nooks and traditional diners can be found next to the latest gastronomic hot spots and mixologists. 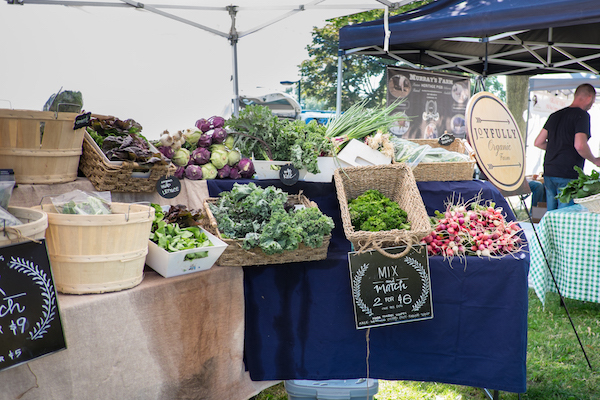 A number of farmers markets and specialty food festivals are known to set up shop on the weekends. Leslieville is very pedestrian-friendly with many neighbourhood amenities accessible without a car. Cycling is a very popular method of transportation, and Queen Street offers a quick bike commute between the downtown core as well as the neighbouring Beaches area, which features a number of outdoor destinations including Balmy, Key and Woodbine Beaches and the Ashbridges Bay Park. Jimmie Simpson Park, located in the west end of the neighbourhood, offers a number of indoor activities including swimming, children’s clubs, and badminton. The northern edge of the neighbourhood, along Gerrard St., also encompasses Toronto’s “Little India”, a cultural hotspot of south Asian restaurants, shops and events. 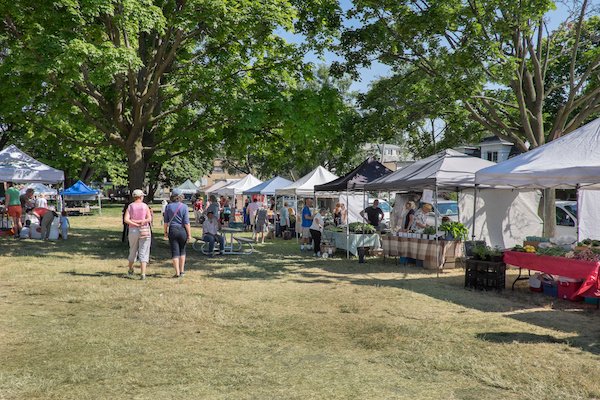 Those who love to buy local will be delighted by Leslieville’s selection of farmers markets, artisanal grocers, and owner-operated retail. Local shopping and dining destinations include: Bobbett & Belle, Bonjour Brioche, Good Neighbour, and Gadabout.